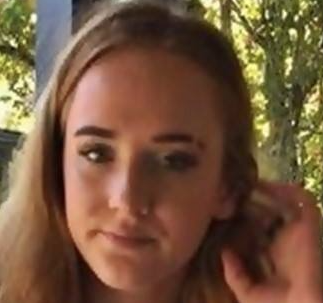 Fifteen-year-old Leah Jovic Hall was last seen by her mother and grandmother in Hout Bay on Tuesday afternoon, and has been missing since. Leah was wearing a grey tracksuit top paired with grey pants, and green takkies with a golden stripe, when she disappeared. “She looks older as she is tall,” the Pink Ladies poster released on Tuesday read. Leah has hazel eyes, and long strawberry blonde hair. South African Police Services have confirmed the disappearance and say they are investigating the matter. No further information on the disappearance is available at this time. 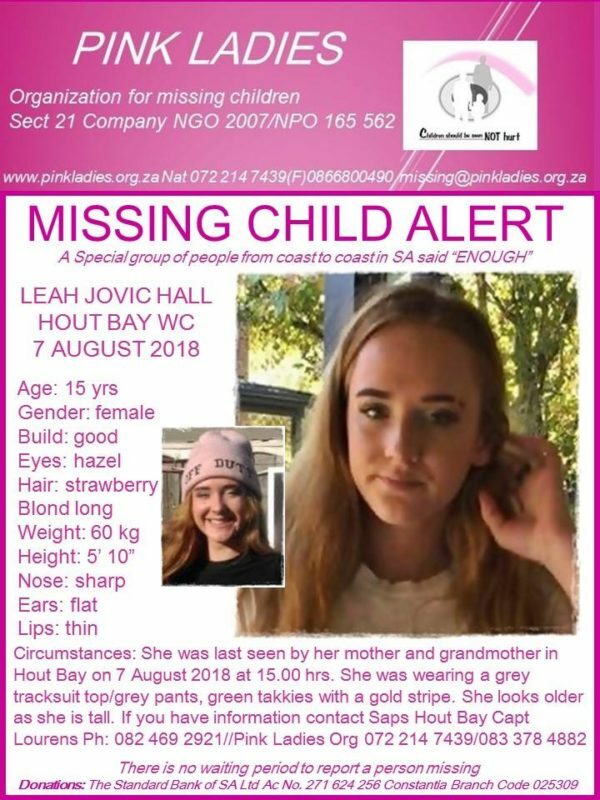 Anyone with information on the whereabouts of missing Leah can contact Captain Lourens of Hout Bay Police on 082 469 2921. Alternatively, the Pink Ladies Organisation may also be contacted on 072 214 7439/083 378 4882.